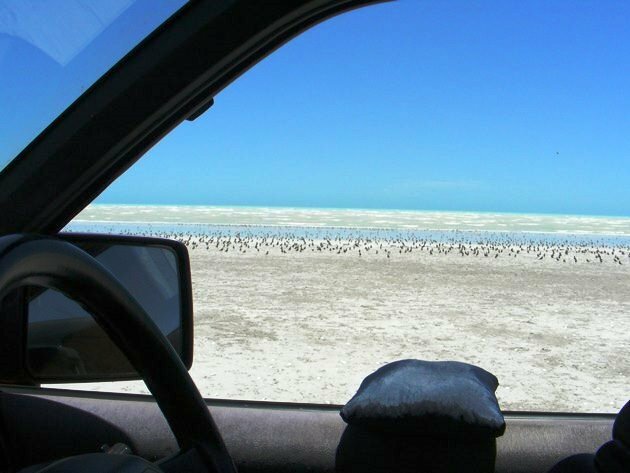 Bird hides are very rare around Western Australia and they are ideal for observing birds at close range, but so are vehicles! In fact my favourite bird hide has just celebrated its 21st birthday! It has taken us around Western Australia on sealed and unsealed roads and over into the Northern Territory and shown us some amazing birding sights. It has been our home when we have travelled with our tent to various locations over the years and is part of our life and feels like family. We have looked after it and cared for it and it has been the secret to getting close to birds that we would not have a hope of getting close to on foot. Birds seem a lot less cautious of a large vehicle than a person on foot. 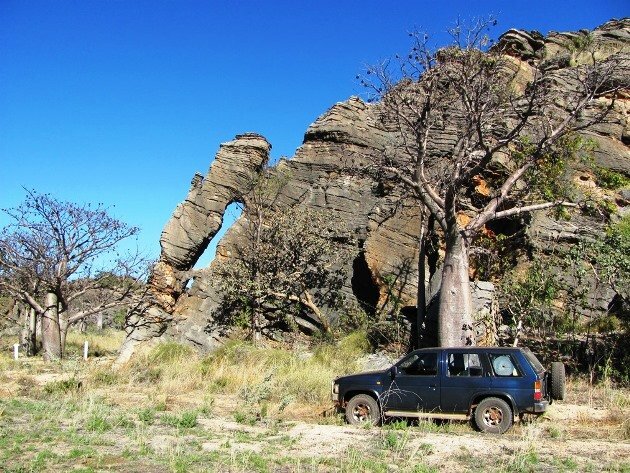 Without this vehicle I would not have been able to take such close-up photographs with my compact camera and we treasure every chance we get to go out into the remote areas of Australia with our trusty vehicle. 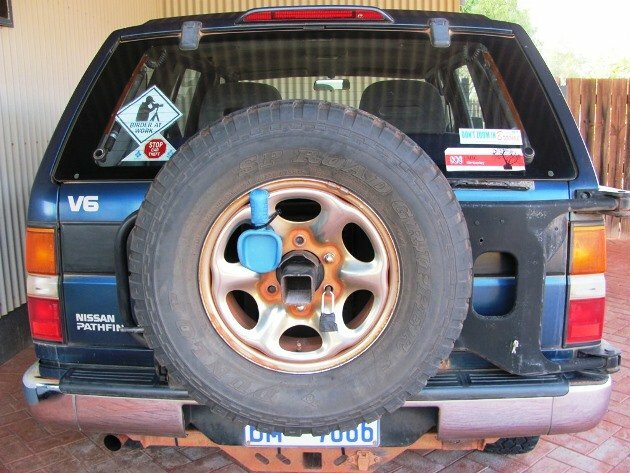 If you are considering a vehicle for the outback and birding it is useful to have a Roo Bar, which protects your radiator if you have a close encounter with a kangaroo. We choose not to drive on dusk to avoid these close encounters, but the Roo Bar is ideal for standing on when you just can’t get close to a flooded ephemeral lake! You will notice there are side steps on the vehicle and they are officially there to protect the paintwork from stone chips on unsealed roads. They are actually very useful for standing on to look into areas that are hard to see into and of course for short people (is 5 foot 3 inches really short!?) like me to wash the roof! You need the side steps at the Poo Ponds in Broome to enable you to see in! While you are thinking about protecting your radiator with a Roo Bar you should also consider covering the radiator front with some shade cloth. This will protect your radiator from some of the many Spear Grasses that you may encounter on tracks. 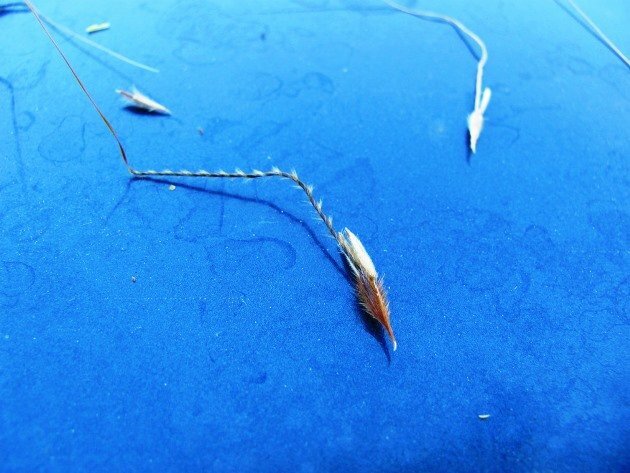 The grass may well be taller than your vehicle and you will collect the grass seeds up. It is a lot easier to remove the shade cloth and start again rather than have Spear Grass getting into your radiator and doing damage. The Spear Grass is attracted to water and will even try and twist into your skin if you are damp. You need to be aware of encountering unsuspecting items in the middle of tracks that may not have been there before or may have grown. 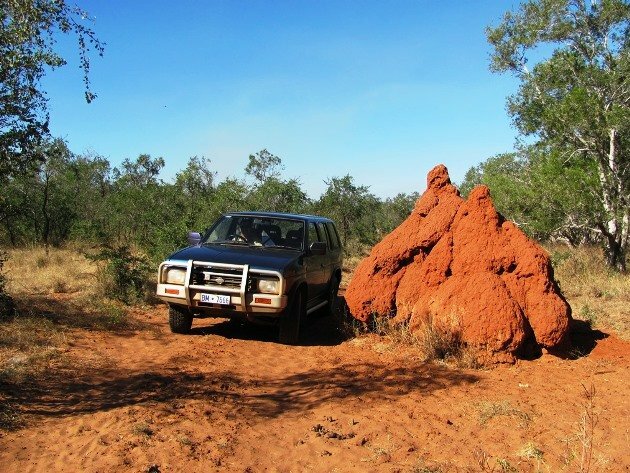 This termite mound gets bigger every time we go by and you would not want to suddenly come across it in the dark in the middle of the track……..I think the termites would win! It has been very important to us to keep the glass on our vehicle as clean as possible and there is only one product that we would recommend. We are still on all original glass thanks to this product and once you have used it you will discover your glass maintains its clarity much easier in the worst conditions. Water spot marks can be a real problem in different parts of the outback and Malco Spot Remover from the USA is the product we have relied on for many years. If you want to observe birds with the windows closed for any reason then this is the solution to water marked glass. 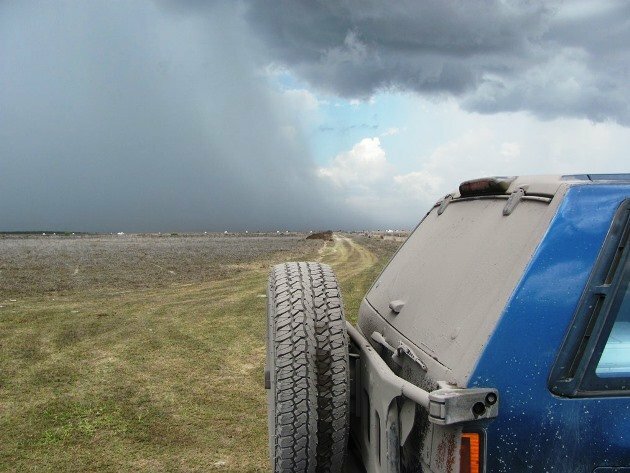 We have never worried too much about getting the vehicle dirty, because it is unavoidable around here! The worst dust we have we call “bull dust” and if you can think of the finest talcum powder and then make it black then you are on the right track. It does take ages to get the vehicle clean, but we park up on the lawn and the garden gets the benefit of the dirt and the water. The vehicle has also been used for shorebird counting on the beach and it is imperative to spend as much time as possible literally lying under it making sure you eliminate all salt and sand from underneath it. Our bird hide, I mean vehicle, has taken us into some spectacular country and we did get to a real bird hide last year at Marlgu Billabong. There are some bird hides at Herdsman Lake in Perth, but sadly they are often misused and damaged. I am not sure what makes people think it is OK to damage bird hides, but it is sadly often the case. I do find I can get fairly close to shorebirds on my bicycle compared to being on foot if I move slowly along, but you just can’t have the adventures on a bicycle that you can have in a vehicle. The water over the road to the south of Broome is much better tackled by vehicle, especially when it gets deep! Mind you, when I get a flat tyre on my bike it is never as a result of a chunk of metal like we encountered last year. It’s not every day that you celebrate a 21st birthday and when we purchased this vehicle we had no idea it would give us such trouble free driving and so many birding adventures and we are truly grateful! Do you have a favourite bird hide? Do people respect it? What a well-deserved and funny tribute to your car! I’m sooooo glad we don’t have Spear Grass and termite mounds here. The extreme conditions of travel in Australia are unreal, and your trusty bird hide deserves happy birthday wishes from all your 10,000 Birds readers. What a great car! umm, I mean bird hide. My secret desire is to have a car like yours, that I could ride on any road, get full of dirt and dust, stand on, scope through, and it will still run. Sadly, other concerns dictate that I own a smaller car without 4-wheel drive. But, I do have a moon roof, and I have been known to photograph birds though it. 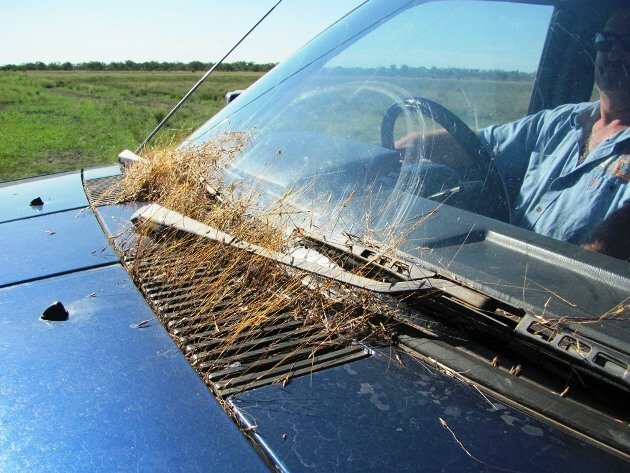 Yes…a moon roof is handy, but too hot for around here and one more place for dust to get in! 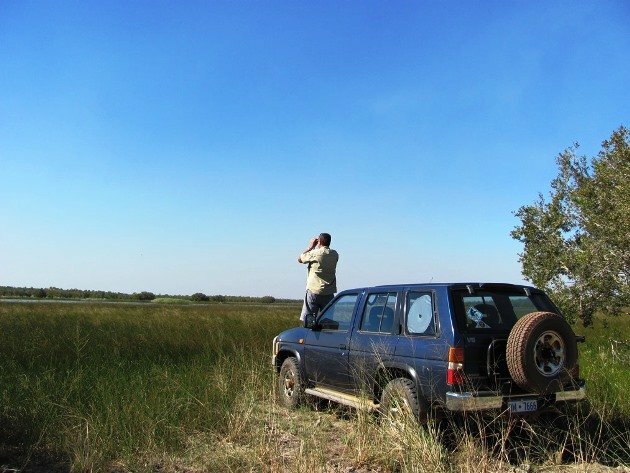 Many a birder owns optics worth more than their vehicle/bird hide!